Since many people who travel to the Lake District take their furry friend or friends along, we offer many great dog-friendly cottages in Lake District, but there is nothing more enjoyable than a long walk with the four-legged companion and it can only be improved further with a comfortable sit down in a dog-friendly pub at the end of it all. As an area with many dog-friendly cottages and accommodation options, the pubs don’t disappoint either and when you plan your break to the area, you can easily work in a visit or two to these wonderful dog-friendly pubs in the Lake District. Traditional, cosy and wonderful for you and your pup, The Golden Rule is one of many Lake District dog-friendly pubs which ensure you can have a relaxing sit-down, a drink and even something to eat. It’s in the Ambleside area and it is a relatively quiet and tranquil pub which attracts many locals as well as visitors as its simply too good to miss. Probably the best-known pub in the town, The Dog and Gun is one of the most loved dog-friendly pubs in Keswick, the clue is in the name! With a great selection of local guest ales and beers, the pub has a fantastic atmosphere, pays homage to the local walking and hiking community and a snug coal fire for warmer months. As well as snacks and food for people, the Dog and Gun also sells dog treats at the bar. Of all the dog-friendly pubs Keswick has to offer, The Dog and Gun is up there with the best. If you want to stay in Keswick, check out our dog-friendly cottages! With a fantastic atmosphere and a wonderful location not far from the picturesque village of Sawrey, the Tower Bank Arms has a rich literary history. 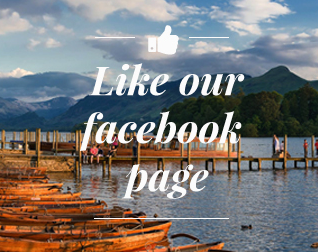 It has been welcoming visitors since the 17th century and features in Beatrix Potter’s The Tales of Jemima Puddleduck. A wonderfully historic pub which provides comfort and warmth for you and your pup. Busy and bustling with life, this Lakeland pub sits at the foot of the Newlands valley in the village of Braithwaite. Its real fire keeps you and your dog warm in the winter and it has a fantastic atmosphere ideal for getting to know the local community as well as keeping warm and dry before or after you head out to walk around Grisedale or Causey Pike. Built in 1688, the Horse and Farrier is a traditional Lakeland inn that sits just below Blencathra, with views out to Helvellyn. Local Jennings ales are available in a range of different styles and the pub also offers fantastic food. Well-behaved dogs on the lead are more than welcome to enjoy the inn too and the same can be said of the Horse and Farrier’s sister pub The Salutation Inn. Offering something a little different to the traditional dog-friendly pubs Keswick has to offer, The Square Orange is more like a café bar than a traditional pub. With a sophisticated coffee menu, loose leaf teas and an impressively stocked bar it’s a great change to the traditional pub. Fantastic pizzas, tapas and paninis can be enjoyed all day every day and your pup is more than welcome too.